Imakiku is an audience response system for real-time voting, posting comments, and surveying. Created by TENMONDO Inc.
Imakiku is the excellent real-time response web tool for promoting student engagement. Imakiku enables you to collect students’ idea and share them immediately by its positing comments feature. You don’t need to spend the time to collect students’ idea or comments anymore. Save time and supply more thinking time for your students in your active learning class. You can answer what the students really want to ask you immediately. The students can promote their engagement to enter your school if you could answer their questions more accurately. In addition, the result data will help you with the next school events. You can make a survey after class and get the immediate reaction of the class. The result will be compiled automatically, and you will be able to get it with one click. You don’t need to spend the time to compile paper survey anymore. Subscription that costs between $90 and $450. Price may vary depending on commitment and so on. Imakiku was added by Alyssa1978 in Jul 2018 and the latest update was made in Jul 2018. The list of alternatives was updated Jul 2018 There is a history of all activites on Imakiku in our Activity Log. It's possible to update the information on Imakiku or report it as discontinued, duplicated or spam. 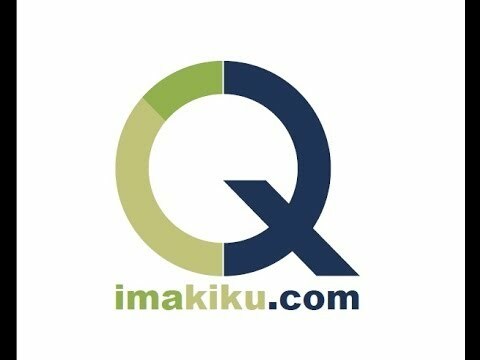 Alternatives to Imakiku for Web, iPhone, Android, Windows, iPad and more. Filter by license to discover only free or Open Source alternatives. This list contains a total of 25+ apps similar to Imakiku. Maybe you want to be the first to submit a comment about Imakiku? Just click the button up to your right!